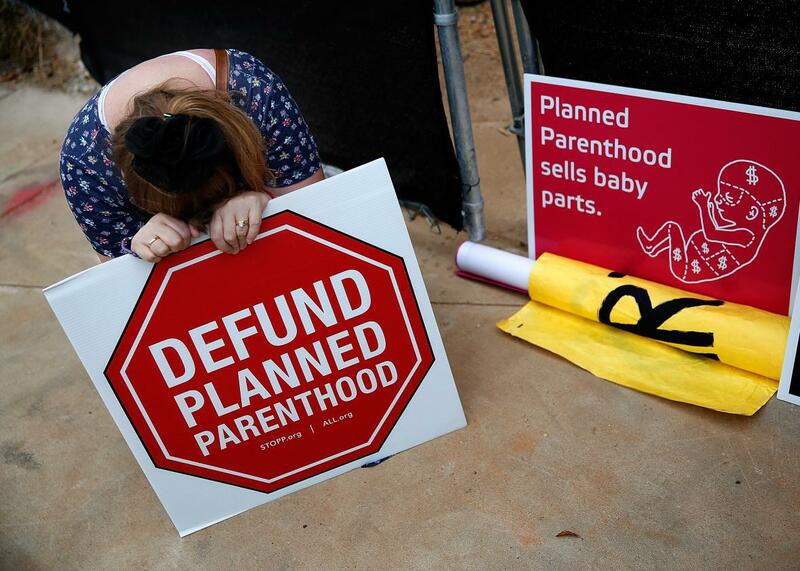 Doing the math on how much "profit" Planned Parenthood is supposedly making off fetal tissue. $0 x seven Planned Parenthood clinics = $0. I just think you’ve created an industry now — a situation where very much, you’ve created an incentive for people not just to look forward to having more abortions, but being able to sell that fetal tissue — these centers — for purposes of making a profit off it, as you’ve seen in some of these Planned Parenthood affiliates. All of which leads to the question: How much profit? I don’t mean the real, nonfictional money at stake: $100 million in federal funding for Planned Parenthood, which is required only to fund nonabortion services such as contraception and STI treatment. I’m talking about the imaginary money at the center of the conspiracy theory, the alleged “profit” that Planned Parenthood and its patients are making off this fetal tissue racket. How much can women and their doctors expect once they hop onto this gravy train? Luckily, we do have some numbers, courtesy of the (mostly) unedited videos filmed by the Center for Medical Progress, in which they spoke to doctors who thought they were discussing tissue donations to a biotech firm. The numbers being tossed around seem rather miniscule for an evil criminal organization: $30 to $100 a specimen. That’s not profit—that’s reimbursement. Those hospitals probably don’t tolerate too much of a loss, so let’s be generous and assume the biggest bath they take is $50 per specimen. This math is backed up by five separate state investigations that show Planned Parenthood is making no profits off “selling” fetal body parts. Per-specimen profit for Planned Parenthood: negative $50 to $0. But what about economies of scale, you might ask. Perhaps the reimbursements of $30 to $100 sound small on paper, but over the many clinics that Planned Parenthood operates, maybe the picture starts to look different? The problem, as the Associated Press reports, is that fewer than 1 percent of clinics offer the service. That means seven or fewer clinics offering a service on which they either break even or lose money. Overall profit for Planned Parenthood: $0, multipled by seven, equaling $0. Now, that’s the kind of cold, hard cash that can really keep a billion-dollar organization afloat. Not that any of this required an extensive investigation. Basic common sense will tell you that $30-$100 reimbursements at a tiny number of clinics is not and cannot be a profit-making scheme for doctors or for women. You can make more money selling bottles to recycling plants. The truth—that abortion providers are offering a medical service that women actually need—is just too unbearable for some people to face.